This really was Mike’s episode, we got a whole lot of character development on a character that has previously been an enigma to us. 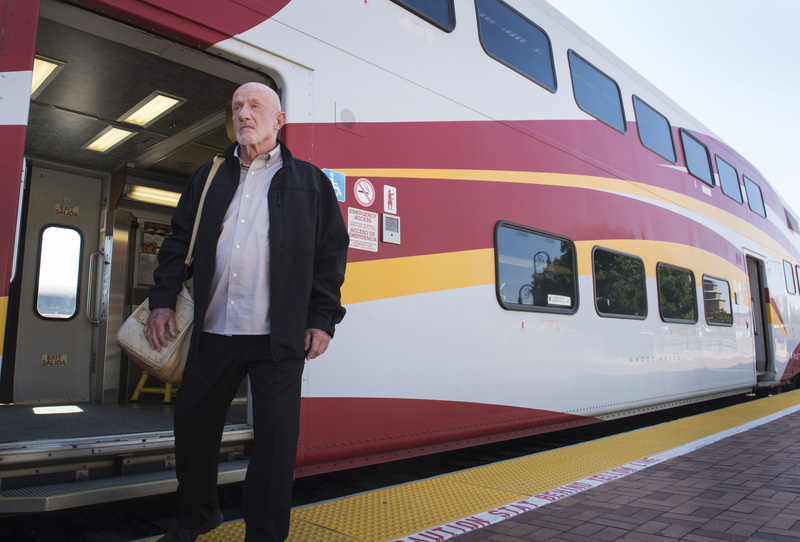 Jonathan Banks is an incredible actor with a really intense screen presence. This is amplified by the fact that the directing and writing gives him something to sink his teeth into as an actor. The acting of Banks, directing of Adam Bernstein and writing of Gould and Gilligan gave us an insight into why Mike is the way he is. That angry expression Ehrmantraut often wears as if he has smelt something disgusting comes from a place of deep physical and emotional pain. When he is trying to patch up his injury in the prologue he first displays signs of visible pain, a hint of vulnerability untill he pulls it together and channels it into an angry pain, pulling that angry, defiant, belligerent expression again refusing to show pain. This was a combination of really detailed writing and acting. It was fascinating to see the first time McGill and Ehrmantraut joined forces, especially in the manner it occurred. The interactions we saw between Mike and the police force made it feel like we were getting a look at events of major importance. What is great about the writing in this show that it makes every single scene utterly engaging. Despite the fact that Mike and McGill planned on pickpocketing the notebook at the end of the interrogation I completely forgot about it until it happened. This was due to the fact that I was so engaged in what was going on in the interview that I completely forgot about what I had been told would happen at the end of the scene. Mike is a very alternative character but with a huge amount of charisma. He snarls and grunts like a bulldog but there is just something really fascinating about the man. The corruption and murder in this week’s story was gripping, especially because the cops think Ehrmantraut was involved. Its rare we see Mike lose it which is why its so interesting when he does. Its odd though, his eyes don’t get wild, he doesn’t overreact and pull dramatic facial expressions, he shouts but maintains a composed dead-eyed stare. I don’t think I’ve ever seen someone capable of shouting while barely moving their face. There was a really quiet and tense scene in which the crooked cops drive Mike and he tells them he knows what they did. Mike is a very threatening and slightly frightening character especially when he is wronged in some way. 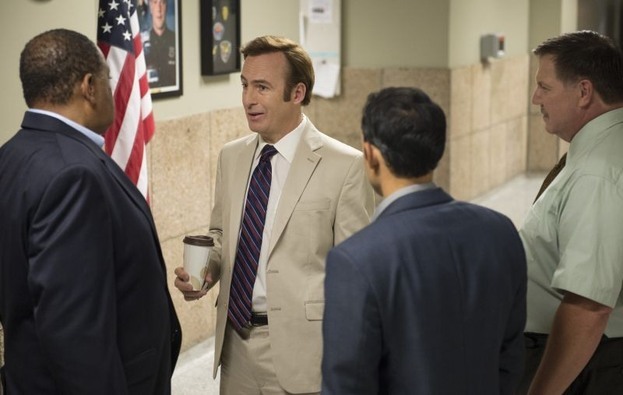 The moment Mike exacts his revenge is one of the most intense and gripping pieces of television I have seen in a while. I get the feeling that scene may become iconic and live on for some time, in that moment Mike was the embodiment of revenge. The moment had the crackling energy of dramatic justice. That may be the best scene of he series so far, incredibly orchestrated gripping television. As soon as we saw Mike standing there with the conviction of a man that was about to make things right we knew it was about to go down. The silence drew me in only to make me jump as the gun shots rang out. This moment was gripping and it came with the feeling that Mike had got justice. This episode was like a classic revenge film with almost a noir feel. 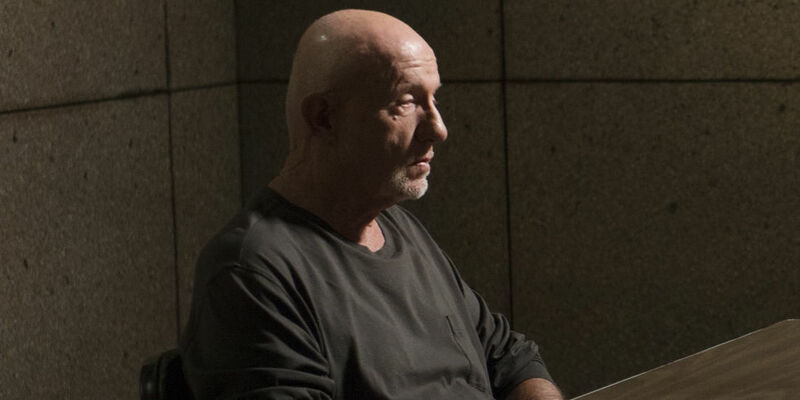 Jonathan Banks carried this episode almost entirely on his own, with some incredible screen presence and astounding acting, the final scene in which Ehrmantraut breaks down being a particular stand out.